A GOLD Coast woman and her elderly mum walked into lawyer Marie Fedorov’s office. Alarm bells immediately started ringing. GOLD Coast lawyer Marie Fedorov “smelled a rat” when an elderly woman came into her office with her adult daughter to change her will. The daughter did all the talking and told Ms Fedorov that her mother wanted her to be the sole beneficiary of the will. “When I questioned the elderly lady to confirm that this was what she wanted, she appeared to not understand what she was at my office for. When I explained this to her she appeared very confused,” Ms Fedorov said. Ms Fedorov was concerned about the elderly woman’s mental capacity and so asked her some general questions, which she couldn’t answer. “I recall seeing the daughter become very uncomfortable and she said: ‘Mum only has mild dementia, she is fine.’ But after I obtained the woman’s medical details from her doctor, and realised she was not able to make legal decisions, I refused to prepare the requested legal documents,” Ms Fedorov said. Ms Fedorov, from Fedorov Lawyers, claims she’s seen a massive increase in financial elder abuse in recent months. 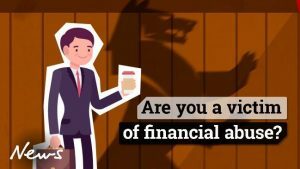 A report by the Elder Abuse Prevention Unit, shows a 20 per cent increase in reported cases of financial abuse from 2014-15 to 2015-16. The report also found that more than three-quarters of perpetrators reported between 2015 and 2016 were related to the victims. The NSW Elder Abuse Helpline was receiving up to 180 calls a month in 2017. Ms Fedorov had another upsetting experience when a real estate agent organised an appointment with his ‘friend’, an elderly woman. The man told Ms Fedorov the woman wanted to change her will and leave a large portion of her estate to him. “Our meeting was at the woman’s home because she was unwell. She couldn’t walk and so she was confined to a chair in the living room,” Ms Fedorov said. “The man wouldn’t leave the room, even though I asked to speak to the woman alone. But, when I asked the man to get me a glass of water, I had a few minutes alone with the lady. The Queensland Government recently introduced tough laws offering sanctions for guardians, administrators or those holding power of attorney who are accountable for financial abuse towards seniors. Anyone taking on the role as a paid carer for the elderly person within the previous three years would be excluded from holding such power. Ms Fedorov believes a major cause of financial abuse of the elderly is “inheritance expectation”. 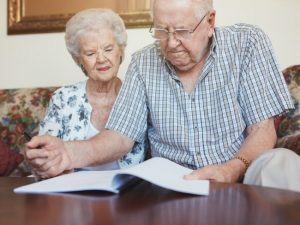 “Many people expect to receive assets from their parents and will coerce seniors into signing wills or enduring power of attorney in order to get all of their assets prior to the older person’s death,” Ms Fedorov said. In another recent case, Ms Fedorov saw an elderly woman and her two daughters, who were trying to have the mother change her will to exclude one of the other sisters. When Ms Fedorov asked why she wanted to leave her daughter out of her will, she explained her other daughters asked her to. “When I spoke to the mother alone, she told me she didn’t want to change her will and that she only came to my office because her daughters insisted,” Ms Fedorov said. Ms Fedorov advises elderly people to see a lawyer without having friends or family in the room. Lawyers frequently come across the elderly being bullied, so they have developed strategies to help people through the process.